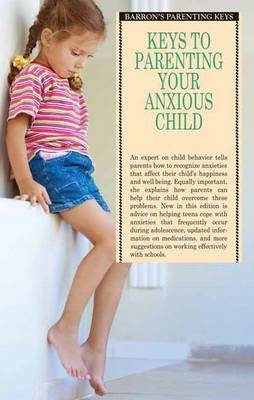 How can parents recognize anxieties that affect their child's happiness and well-being, and how can they help their child overcome them? An experienced child psychiatrist answers this important two-part question by describing various anxiety-caused behavior patterns and advising parents on ways to help their child within the context of both family and school environments. New in this edition is an exploration of timely topics such as bullying and cyberbullying; the use and abuse of social media; threats, consequences, and the anxiety conditions that result from them; school refusal, avoidance, and phobias. The author also discusses warning signs that indicate a need for professional counseling and tells parents how and where to find it. Titles in Barron's Parenting Keys series cover a wide range of child-care topics and are written by experts in pediatrics, child psychology, and related fields.